Can’t a dude just get his bowl on without getting stressed at the door? Not if that dude is Tech N9ne. It’s been years since Lucky Strike felt Tech N9ne’s wrath in his song “Let Me In” from Sickology 101 but apparently they still have not forgotten. Recently Tech went out to the downtown Kansas City bowling alley to meet up with fellow “Worldwide Chopper” JL BHood but was turned down at the door. When Tech asked why they had only two words in response: “that song!” Tech laughed at the rejection and took it lightly, all while being bum-rushed by local adoring fans at the door by for photographs. Tech N9ne mentions that since the release of “Let Me In” from Sickology 101, Kansas City’s Power and Light district has shown him a lot of love, but for whatever reason Lucky Strike won’t let go of the grudge. Perhaps the line “Lucky Strike in Power and Light won’t let the Nina in to bowl / Whoa, guess my Dickies the wrong clothes” is just too much to forgive. The conflict originally started when Tech was rejected for wearing Dickies. Now with the second instance of Tech not being able to get into the bowling establishment, Tech promises to strike again with another lyrical blow. 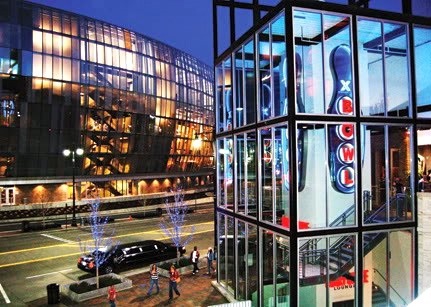 What do you think of Lucky Strike not letting in the Kansas City King?